As what can only be a positive sign for the Rocky Mountain region, Nissan has brought a 2011 Nissan LEAF to the 2011 Denver Auto Show. Since Denver is my home base I feel that it is important to make sure that the general public knows that they can go to the 2011 Denver Auto Show, pay their $10 dollars and see the 2011 Nissan LEAF in person. As I mentioned recently in our story about the 2011 Chevrolet Volt Ride and Drive, one of the most significant barriers to adoption for the electric or plug-in electric hybrid is the accessibility to them by the general consumer. Here is your chance to get up close an personal with the latest in electric car technology from Nissan. Just to recap, if it has been a minute since you have thought about the 2011 Nissan LEAF, this is the first mass produced electric vehicle to come to market by a major manufacturer. We have reported on the first consumer delivery in San Francisco to the impressions of journalist from the U.S. to the UK. 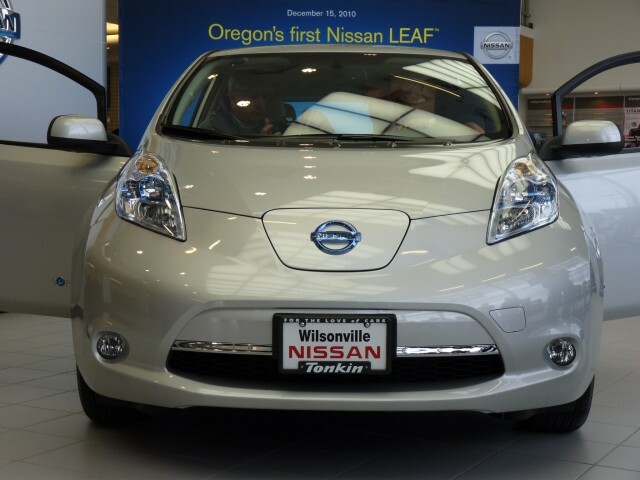 The LEAF can travel 100 miles per charge according to Nissan and their testing and qualifies for a number of tax incentives if you purchase one. The starting sticker is $32,780 and in a lot of cases consumers will qualify for the $7500 tax credit. At that rate you are talking about an all-electric zero emissions car that has a final price in the same range as a Toyota Prius—and not the new Plug-in Hybrid also on display at the 2011 Denver Auto Show. Some other features to remember to check out on the LEAF is the interior user interface, which is all new for the LEAF. In fact, the LEAF is different from most electric car offerings because it was built from the ground up to be an all-electric car instead of being an electric drive system retrofitted to an existing design. We should also mention that the LEAF was tested and rated by the Environmental Protection Agency. 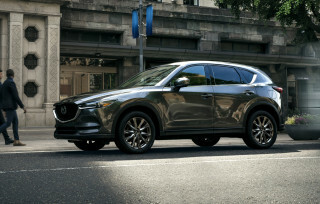 In their required testing they found that the equivalent miles per gallon (eMPG) is that of 99-mpg. On the flip side, the EPA rated the range of the 2011 Nissan LEAF as 73 miles. Yes, that is lower than the Nissan estimates, but that controversy still rages on. The easiest explanation is that the tests are different than those used by Nissan and their partners in California where the original test were conducted. Bottom line—the 2011 Nissan LEAF is a must see at the 2011 Denver Auto Show.